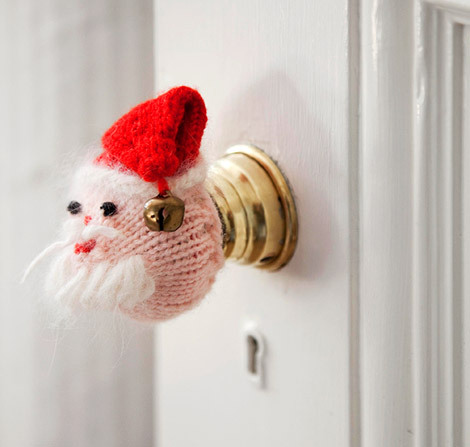 Deck the halls, walls and playroom dolls! Anyone who knows me, knows I love Christmas. I think the root of my love of Christmas is a love of home and the idea of being in cozy surroundings with good friends, family and always good food. The other things I love about Christmas is decking the halls! It is the true embodiment of Family Style decortating…a train set in the living room is acutally part of the design scheme! Let yourself be a kid again. It is a licsense to go kitchy, quirky or elegant. You don’t have to limit yourself to red and green — pink and gold are my other favorite yuel tide colors. Go with what works in your space. This year I am doing all red lights on my tree…the pinks and blues of the multi-colored lights I had last year clashed so with my red alligator and creme suede walls that it made my eyes blurry! 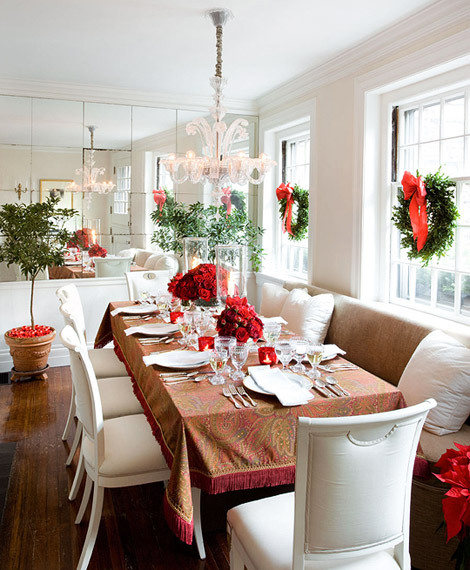 Christams decor is also a great way to compensate for the inevitably long tally of things you haven’t gotten to on your decorating wish list….put your big tree in front of that bay window that still doesn’t have curtains and hang a wreath on the blank canvas above the fireplace that you are still trying to solve. And don’t neglect your children’s rooms and guest rooms. They are a great spot for fanciful table top trees. I put a purple one in my daughters room. She loves it! Then, have your friends over and show it off. I think this is the best time of the year to entertain… your house always looks its best with a little Christmas magic! 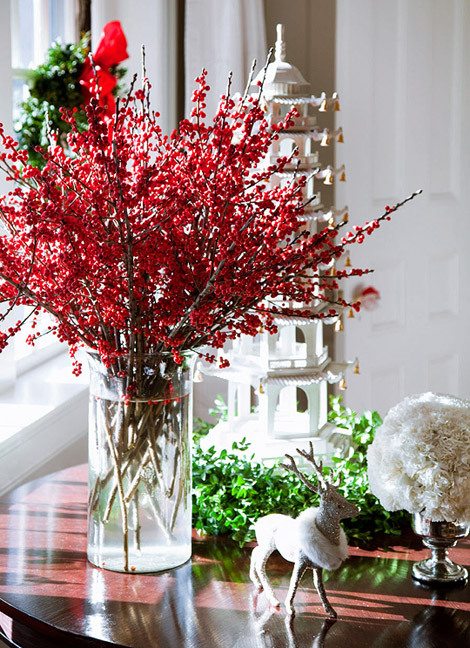 These next few photos are the prefect example of an elegant approach to adding holiday cheer.